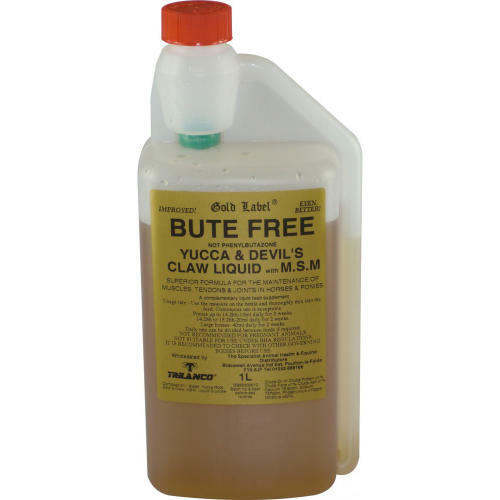 Gold Label Bute Free Horse Supplement is a great way to help maintain your horse's joints and muscles. Contains 3 powerful, natural ingredients: devil's claw, yucca fillamentosa and MSM to help maintain healthy supple joints without side effects. Not recommended for pregnant mares. Not suitable for use in competitions.